NLG-STL hasn't added a story. People hit the streets of St. Louis in struggles for social, racial, economic, and environmental justice. They have done so risking arrest and faced repeated unjust repression by police and when jailed. This is a comprehensive fund established to cover court and legal costs of activist cases. We are a jail and legal support group of activists working with the community in a mutual aid model. 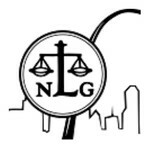 We are operating this fund with the permission of the nonprofit organization the National Lawyers Guild St. Louis Chapter (NLG-STL). NLG-STL hasn't posted any updates yet. NLG-STL is managing the funds for this campaign.